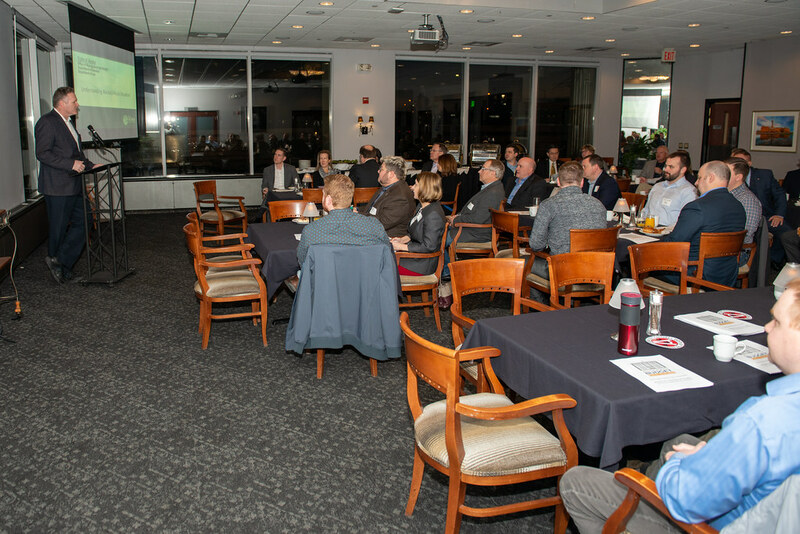 Governor Michael J. Dunleavy speaks with the Anchorage International Rotary Club about his permanent fiscal plan proposal. 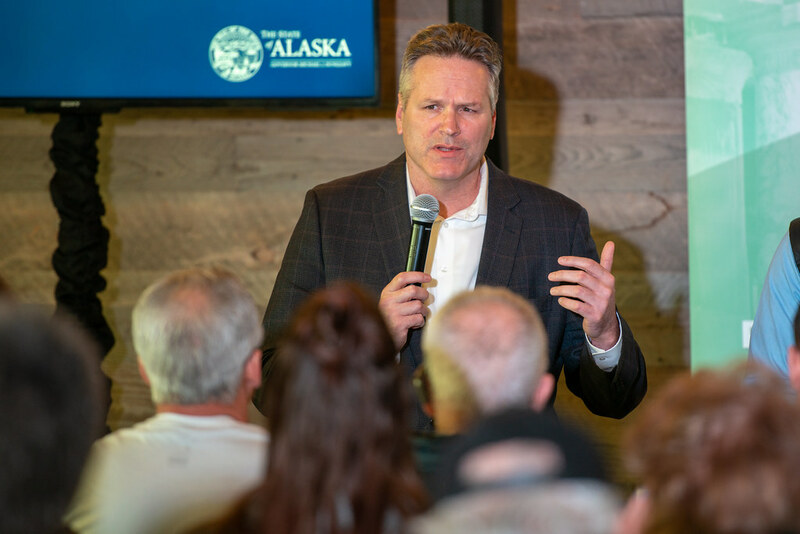 Governor Michael J. Dunleavy speaks with members of the Wasilla and Palmer Chambers of Commerce during a joint meeting at Everett’s in Wasilla. 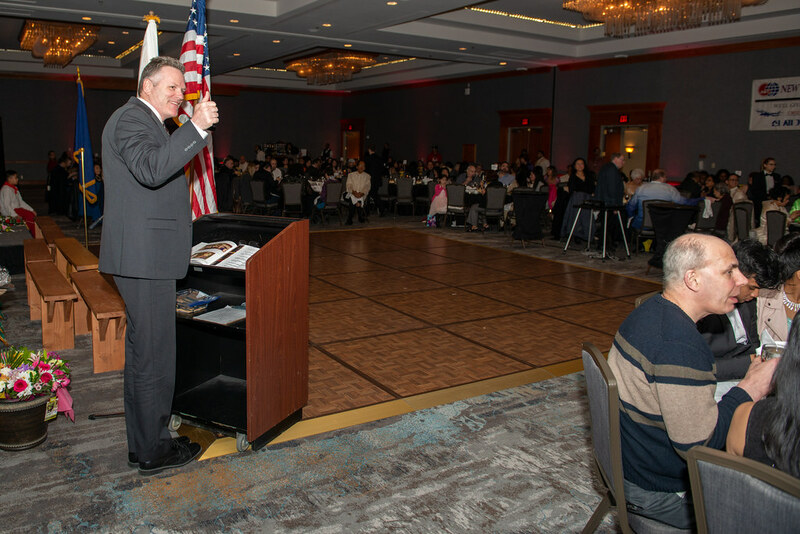 Governor Michael J. Dunleavy speaks at the 54th annual Founders Day Banquet and Ball. 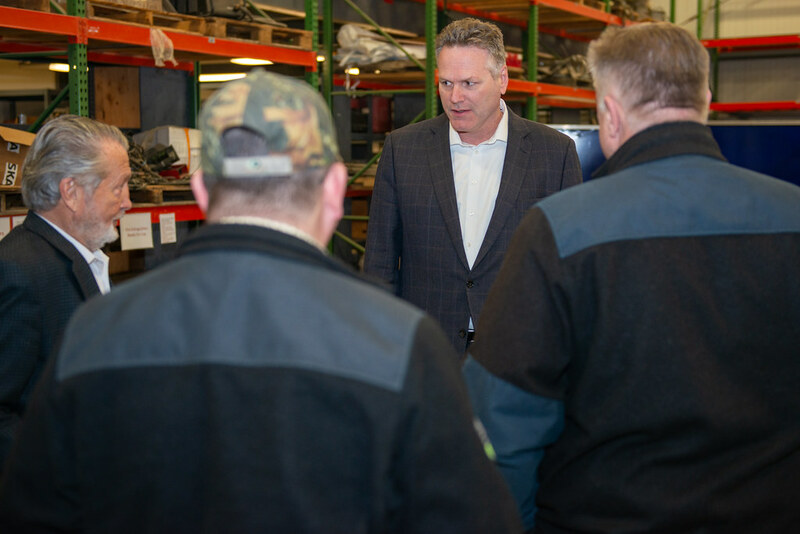 Governor Michael J. Dunleavy and members of his team discuss their Statewide Permanent Fiscal Plan at Everett’s in Wasilla. 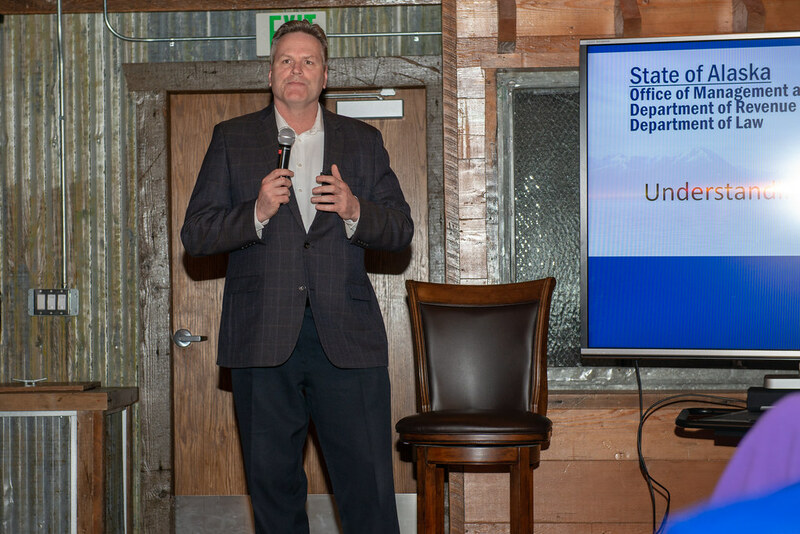 Governor Michael J. Dunleavy and members of his team discuss their Statewide Permanent Fiscal Plan at the 49th State Brewing Company in Anchorage. 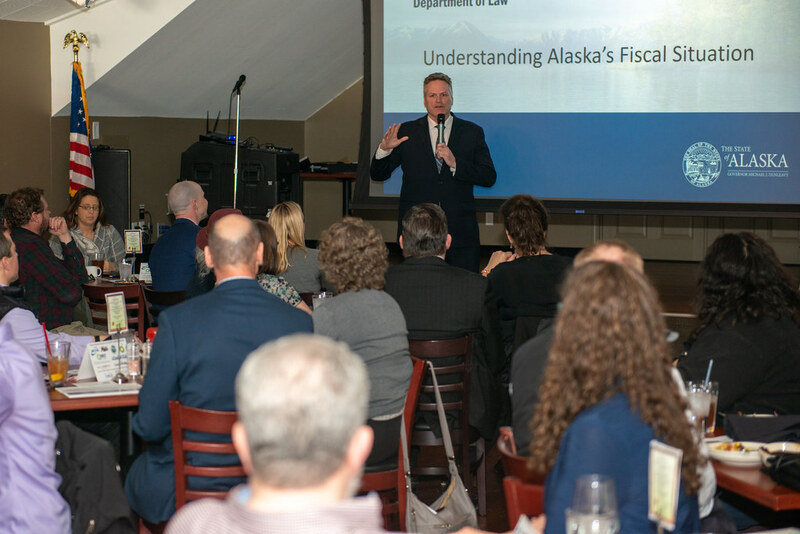 Governor Michael J. Dunleavy discusses his Permanent Fiscal Plan in Anchorage with members of the Alaska Support Industry Alliance. 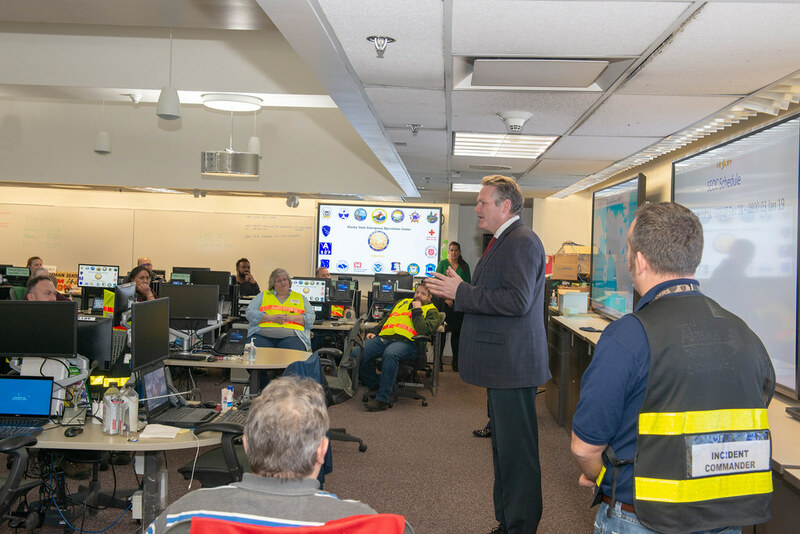 Governor Michael J. Dunleavy discusses his Permanent Fiscal Plan in Anchorage with members of Associated General Contractors, Alaska. 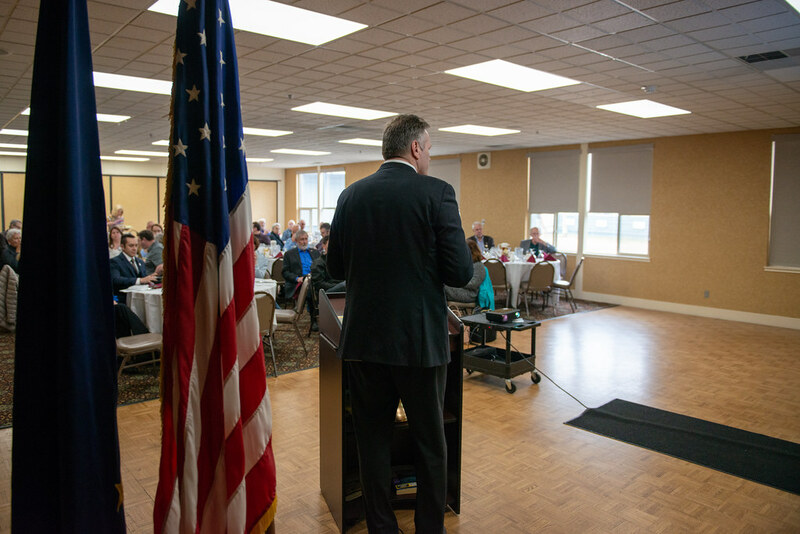 Governor Michael J. Dunleavy and his team discuss their Permanent Fiscal Plan at the Cannery Lodge in Kenai. 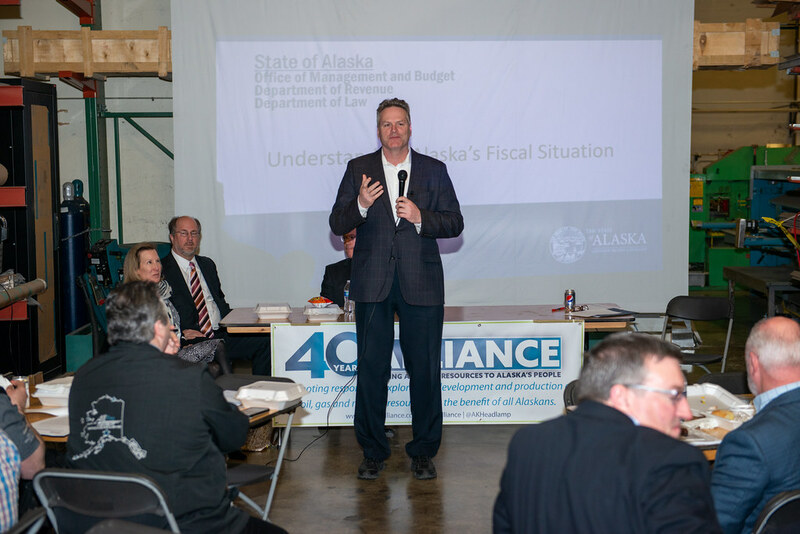 Governor Michael J. Dunleavy disccuses his Permanent Fiscal Plan with members of the Alaska Support Industry Alliance in Kenai. 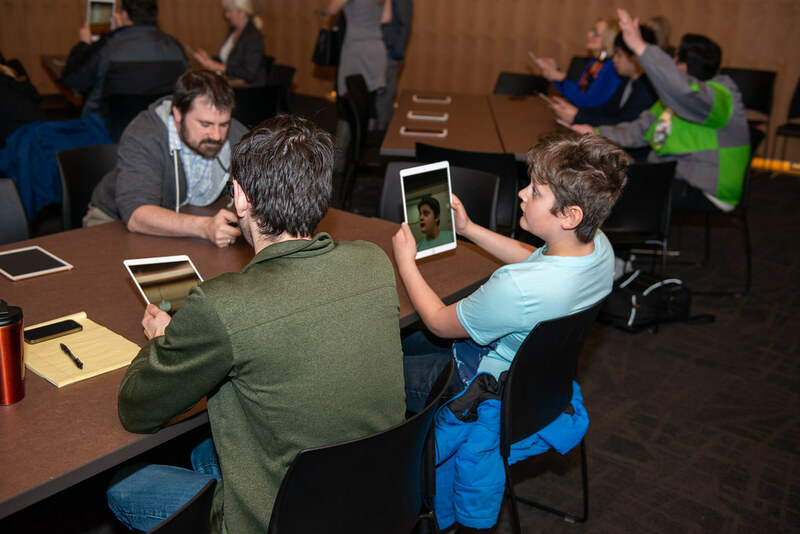 Governor Michael J. Dunleavy stops by a Alaska Department of Education and Alaska Department of Labor sponsored coding academy in Juneau. 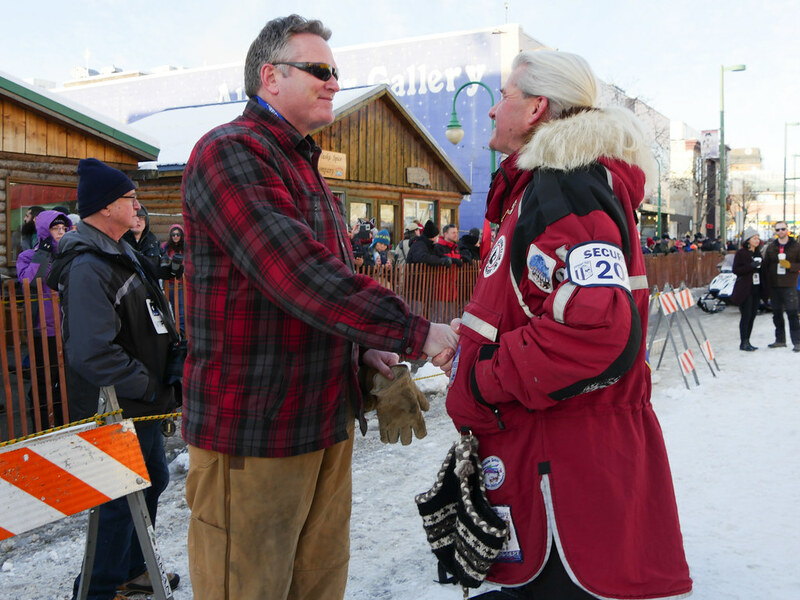 Governor Michael J. Dunleavy wishes mushers a safe race during the ceremonial start of the Iditarod in Anchorage. 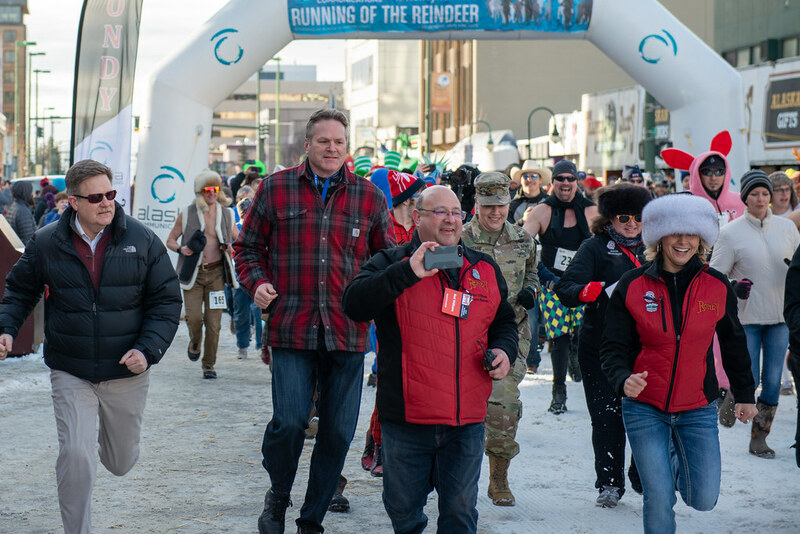 Governor Michael J. Dunleavy particiapted in the Running of the Reindeer Fur Rondy event in Anchorage. Just before the race Governor Dunleavy witnessed 19 young Alaskans take their oath of enlistment as they begin their military service. 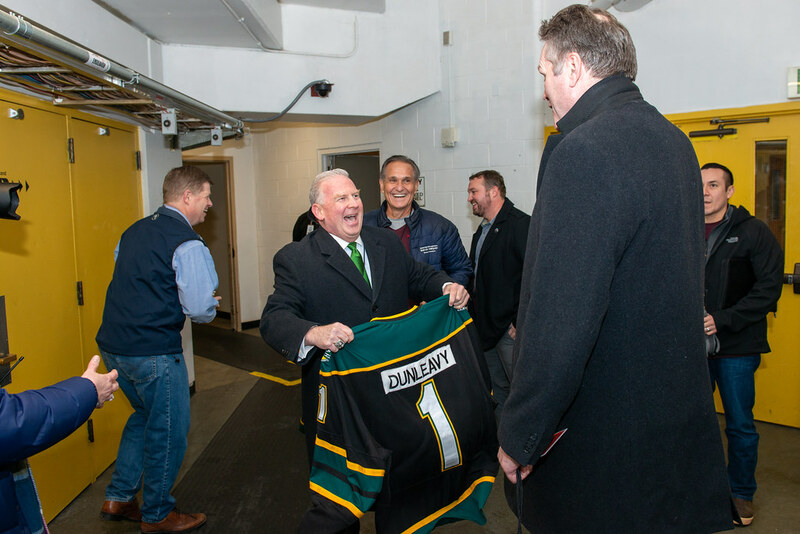 Governor Michael J. Dunleavy and Lt. Governor Kevin Meyer drop the puck of the final game in the Governor’s Cup hockey tournament between UAA and UAF. 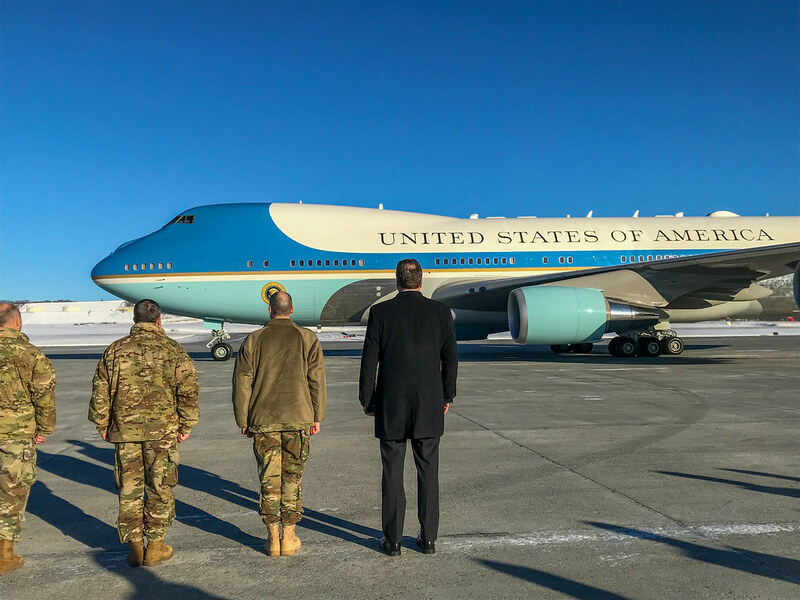 Governor Michael J. Dunleavy greets President Donald J. Trump during a brief stop at Joint Base Elmendorf-Richardson. 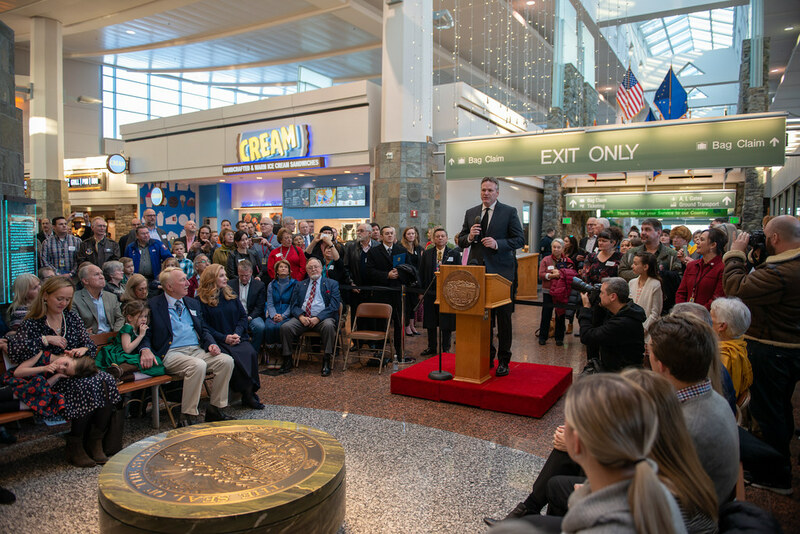 Governor Michael J. Dunleavy joined the family of Senator Ted Stevens to unveil a new statue in his honor at the Ted Stevens International Airport. 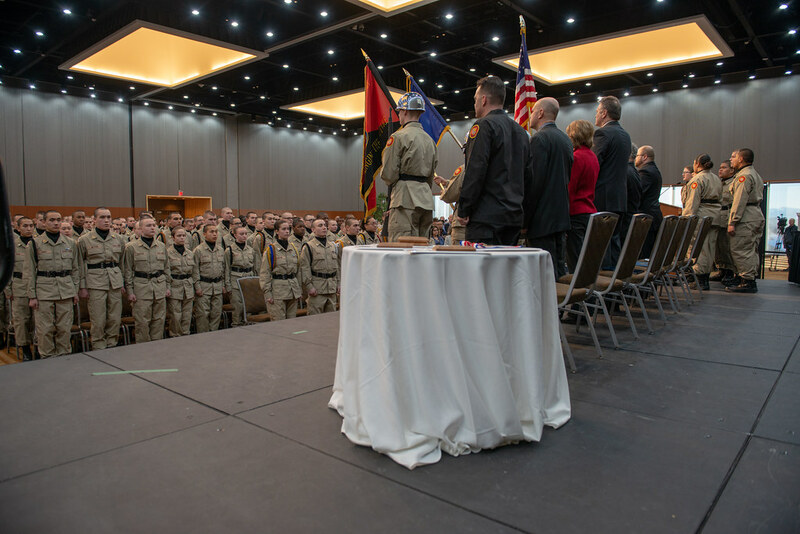 Governor Michael J. Dunleavy delivered the keynote address to the graduates of class 2019-1 of the Alaska Military Youth Academy in Anchorage. 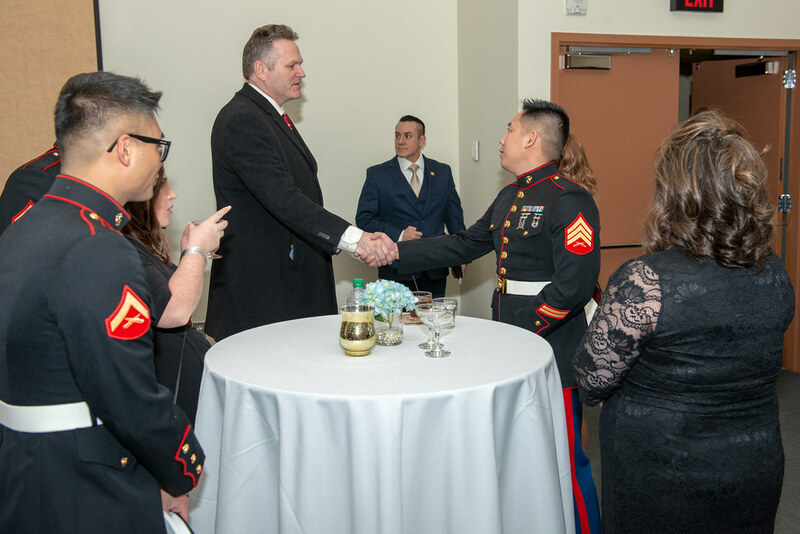 Governor Michael J. Dunleavy joined the Armed Services YMCA of Alaska for their annual Salute to the Military event which honors twelve junior enlisted military members for their outstanding service. 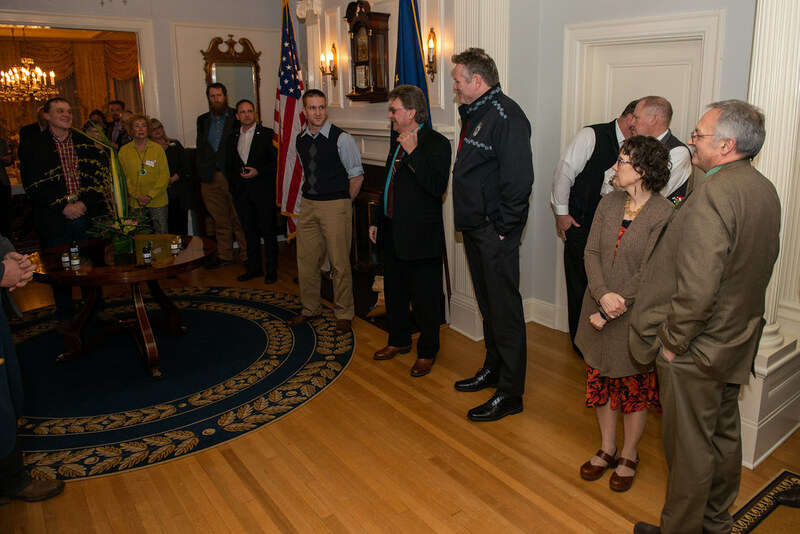 Governor Michael J. Dunleavy hosted Alaska Grown at the Governor’s House for a reception featuring Alaska Grown foods. 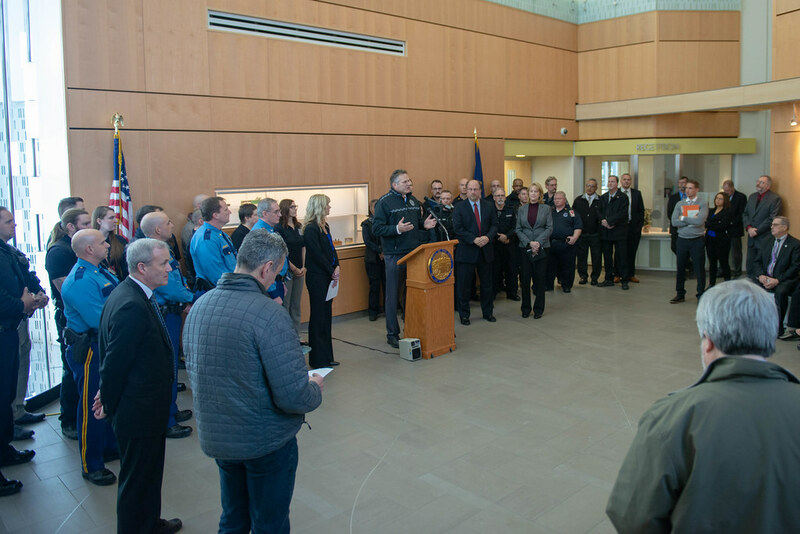 Governor Michael J. Dunleavy hosts fire chiefs from across Alaska at the Governor’s House in Juneau. 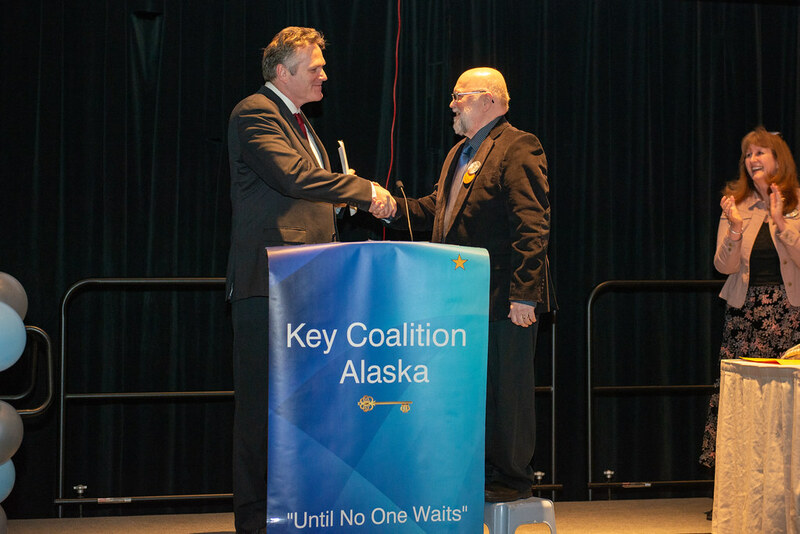 Governor Michael J. Dunleavy speaks at the Key Coalition dinner in Juneau. 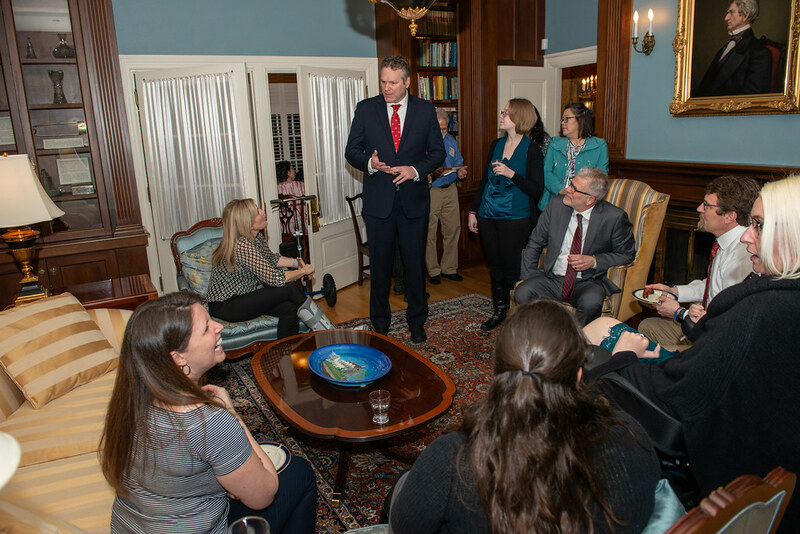 Governor Michael J. Dunleavy hosts the Governor’s Council on Disabilities and Special Education for a reception at the Governor’s House in Juneau. Governor Michael J. Dunleavy celebrates the Chinese New Year at East Anchorage High School. Click here to view all photos. 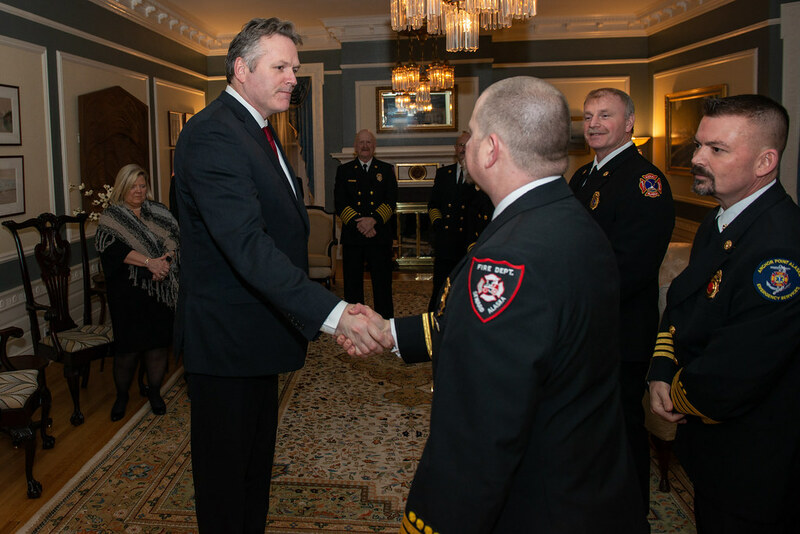 Governor Michael J. Dunleavy and Lt. Governor Kevin Meyer attend the final inaugural celebration in Anchorage. Click here to view all photos. 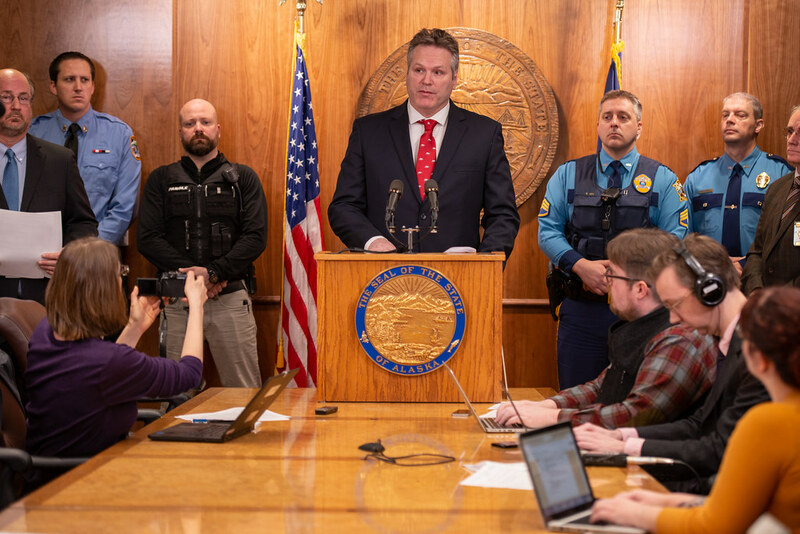 Governor Michael J. Dunleavy and Attorney General Kevin Clarkson announce criminal justice reform legislation. 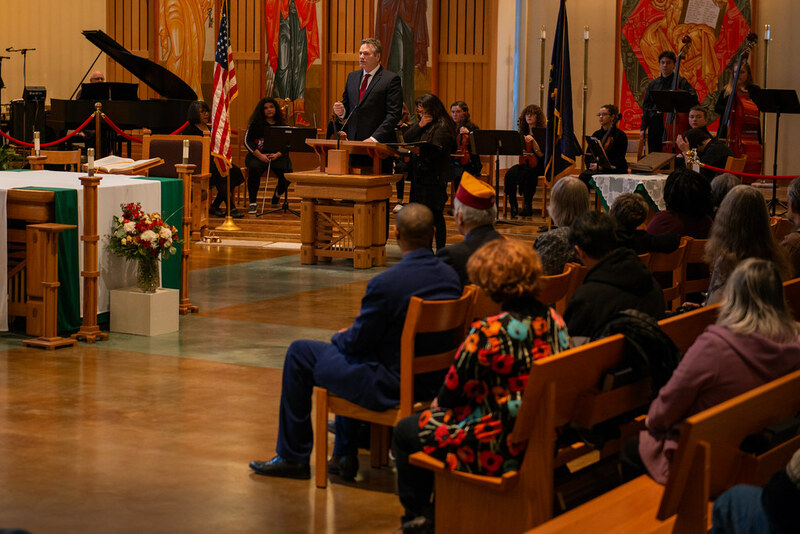 Governor Michael J. Dunleavy and First Lady Rose Dunleavy attended a celebration in Juneau celebrating Rev. Dr. Martin Luther King Jr. 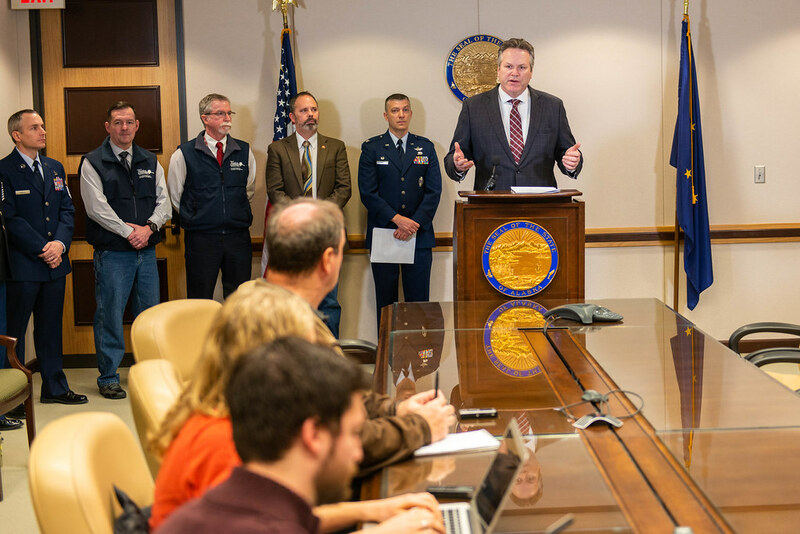 In a press conference, Governor Michael J. Dunleavy requested a Presidential Major Disaster Declaration, under the Robert T. Stafford Disaster Relief and Emergency Assistance Act, to authorize a full suite of federal assistance for the State of Alaska as a result of the major earthquake that occurred on November 30, 2018. 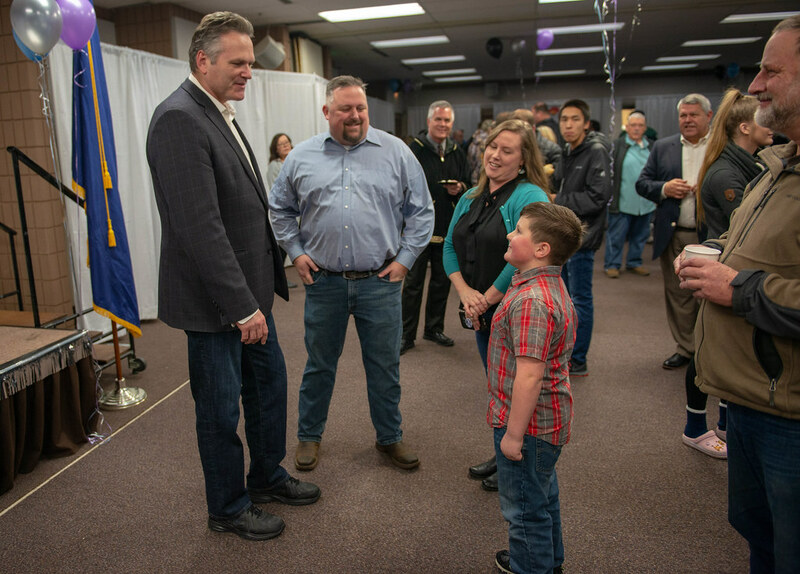 Governor Michael J. Dunleavy visited with cadets in the Alaska Military Youth Academy, thanked employees working in the State Emergency Operations Center, and participated in a Change of Command Ceremony for the Alaska Department of Military and Veteran Affairs. 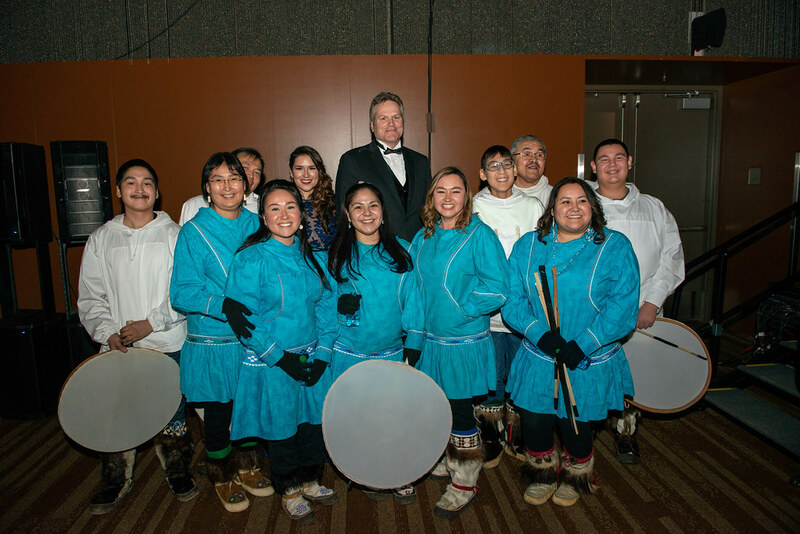 Governor Michael J. Dunleavy, First Lady Rose Dunleavy, and Lieutenant Governor Kevin Meyer joined Fairbanks for an Inaugural Celebration at the Carlson Center. 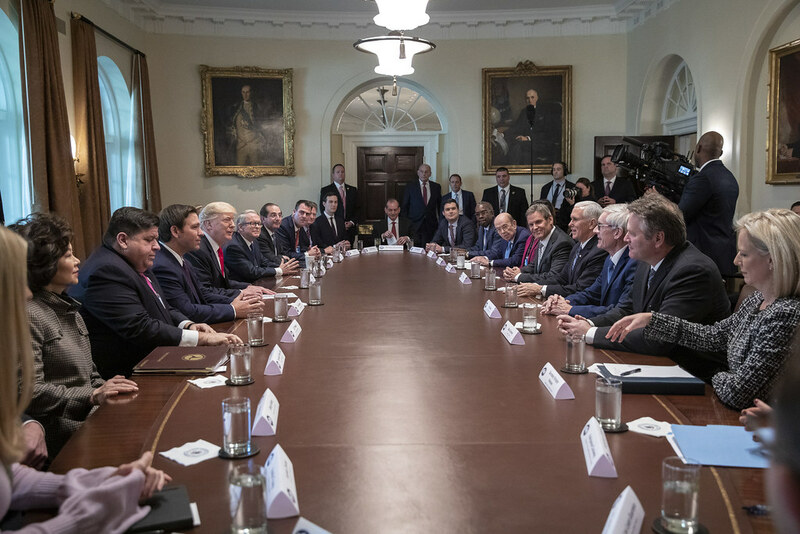 Governor Michael J. Dunleavy sat down with President Donald Trump this morning at the White House to discuss a wide range of issues important to Alaska. The meeting was held with 12 other newly elected state and territorial governors from around the country. 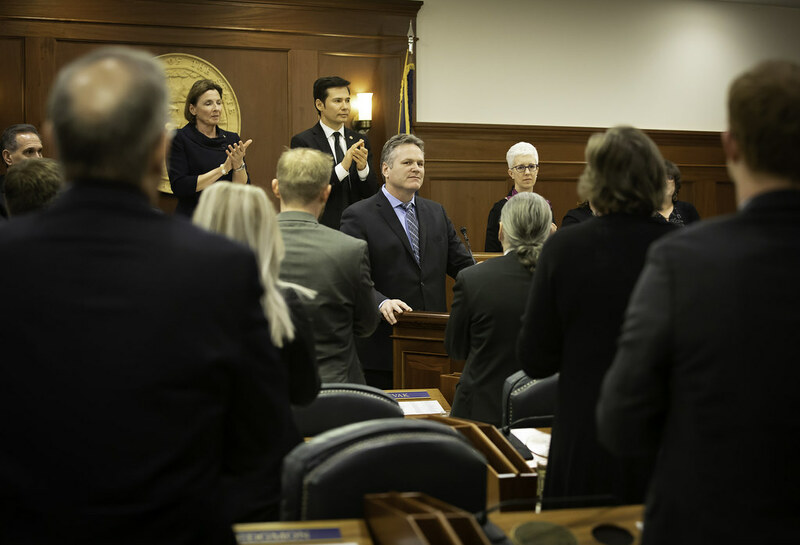 Governor Mike Dunleavy, First Lady Rose Dunleavy, Lt. 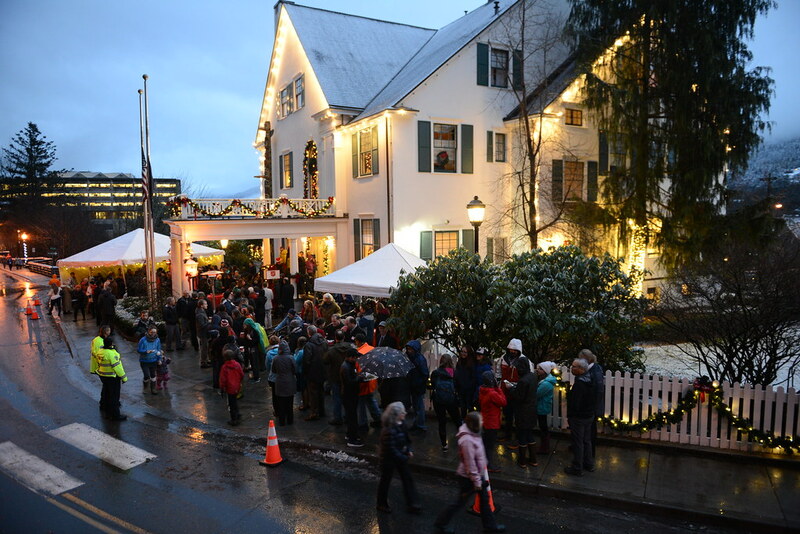 Governor Meyer, and Mrs. Meyer host a public Christmas Open House at the Governor’s Mansion in Juneau. Click Here to view all photos. Governor Mike Dunleavy, First Lady Rose Dunleavy, and Lt. 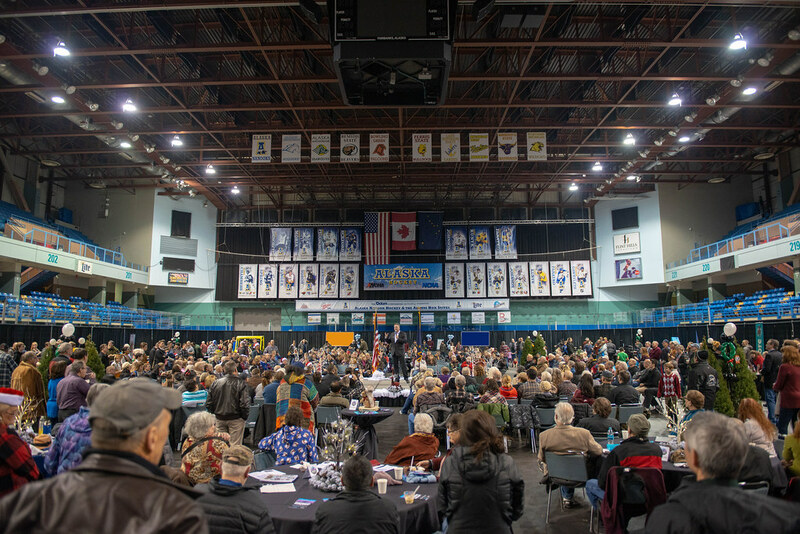 Governor Meyer join Kenai Peninsula Residents for an Inaugural Celebration at the Soldotna Regional Sports Complex. 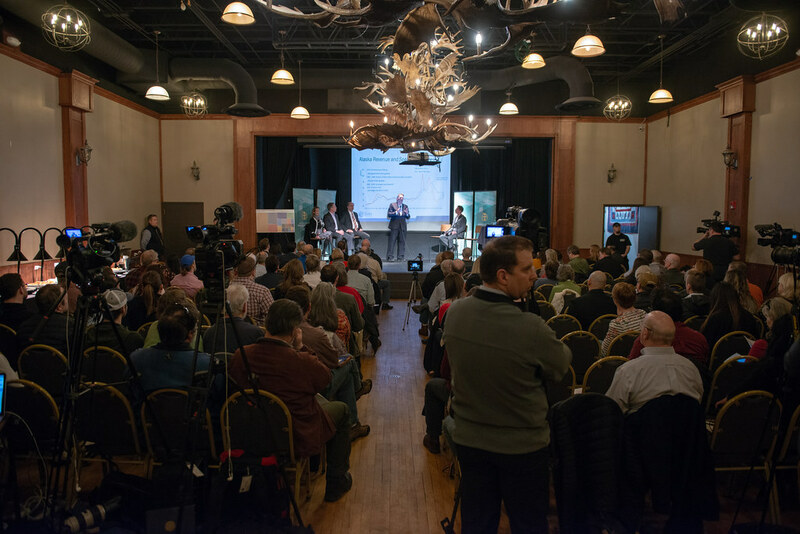 Find more photos from this event by clicking here. Governor Mike Dunleavy, First Lady Rose Dunleavy, and Lt. Governor Meyer join Anchorage Residents for an Inaugural Celebration at Anchorage Christian Schools. More photos from the celebration can be found by clicking here. 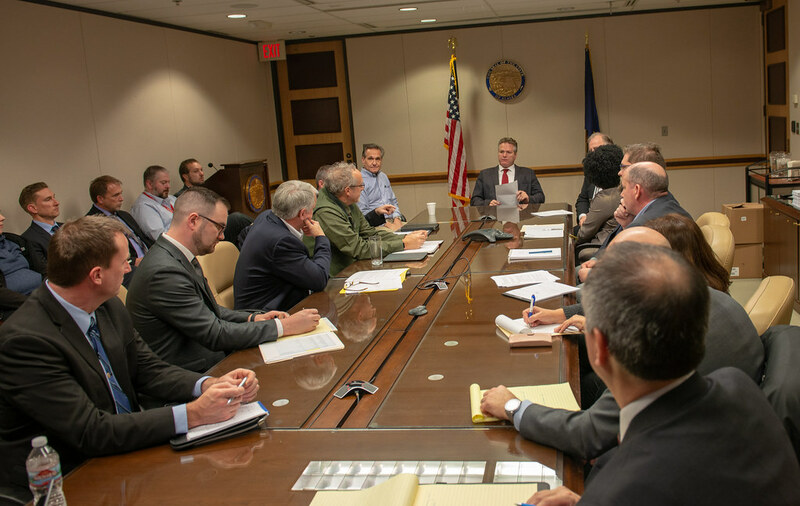 Governor Mike Dunleavy holds his first cabinet meeting in Anchorage. Governor Mike Dunleavy, First Lady Rose Dunleavy, and Lt. Governor Kevin Meyer celebrate their inauguration at the Menard Sports Complex in Wasilla. 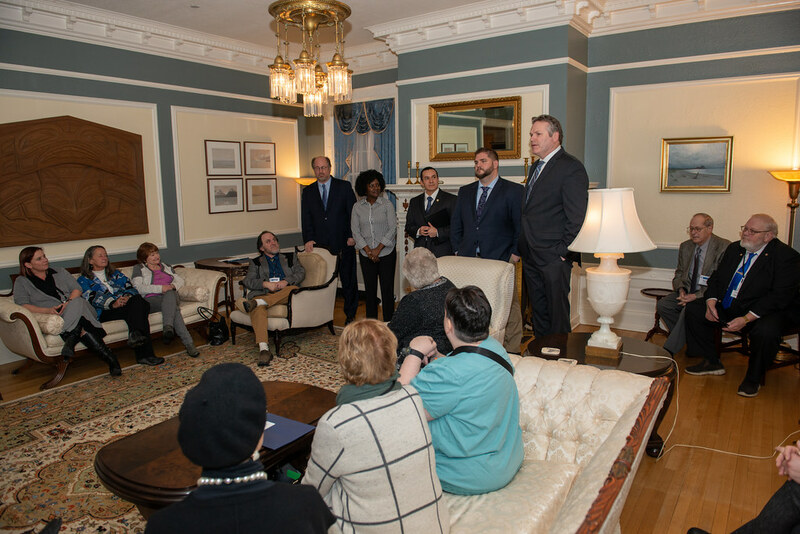 More photos from this event can be found by clicking here. 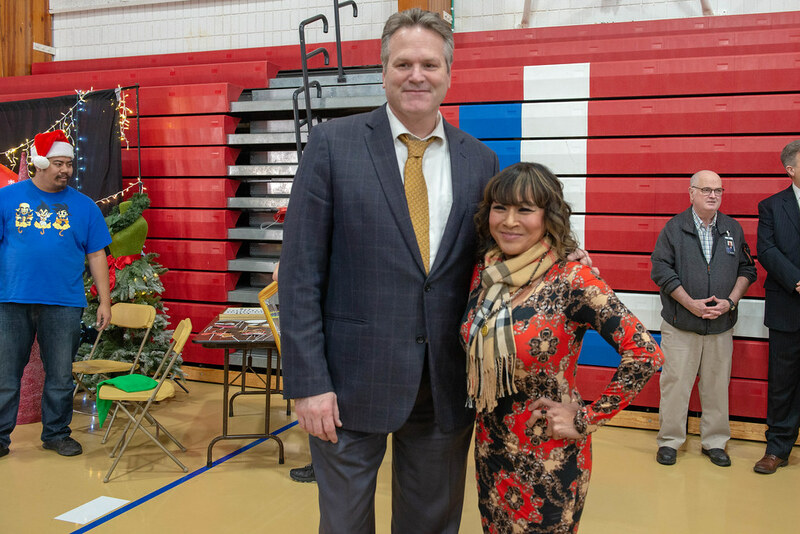 Governor Mike Dunleavy and Lt. 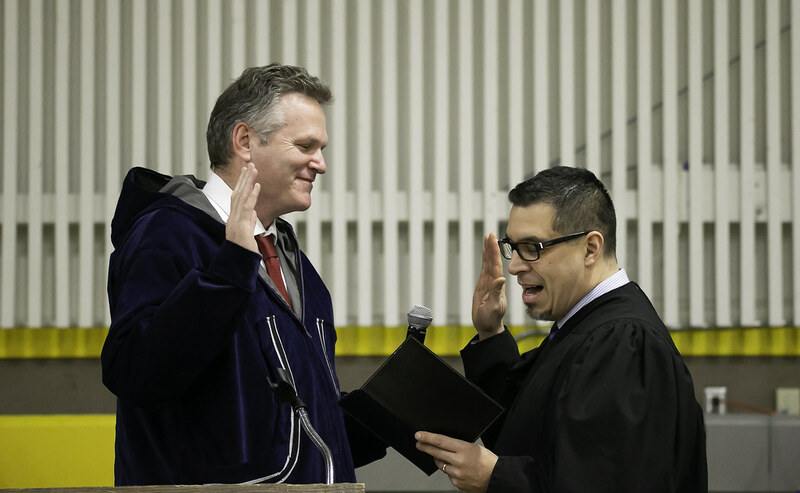 Governor Meyer take the oath of office in Kotzebue, Alaska.